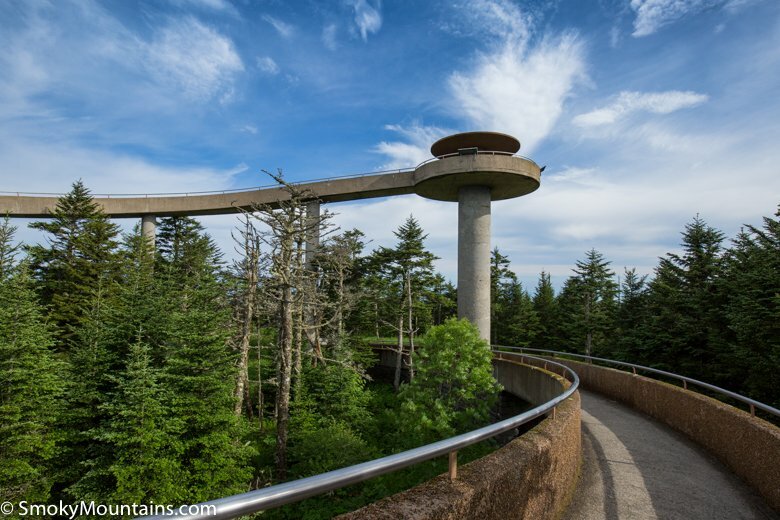 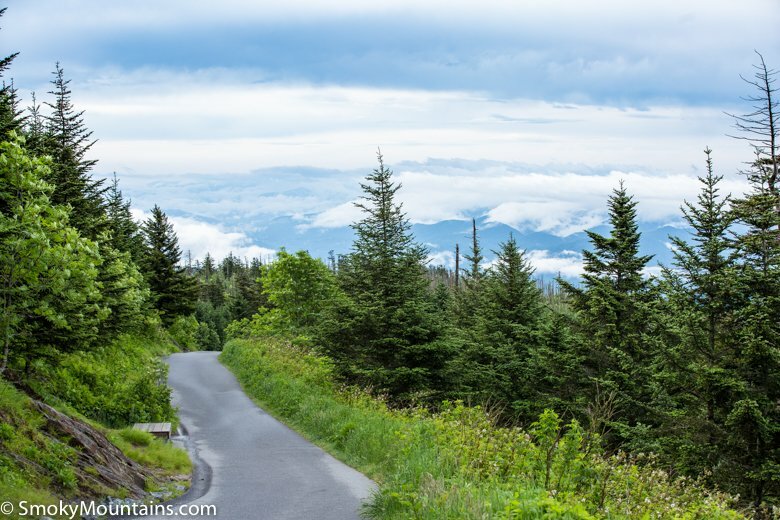 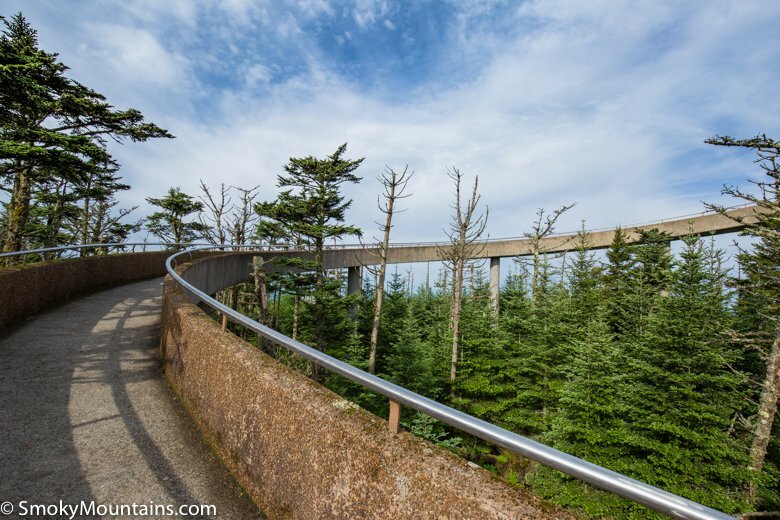 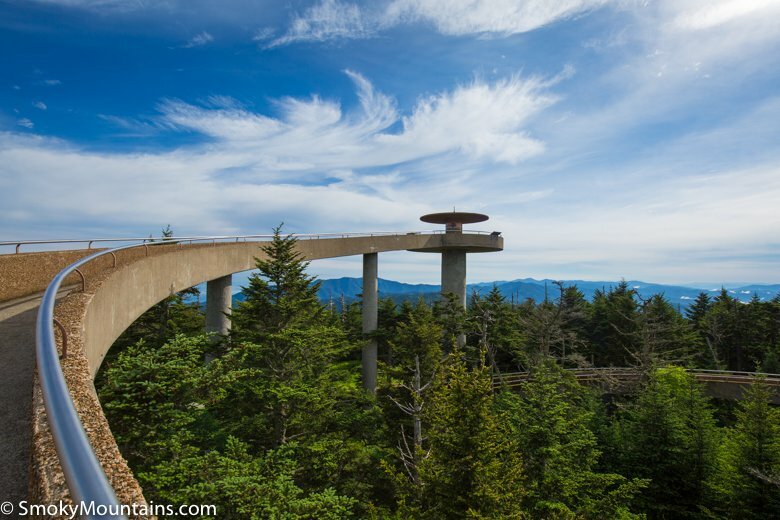 Clingmans Dome is a longtime favorite at the Great Smoky Mountains National Park. 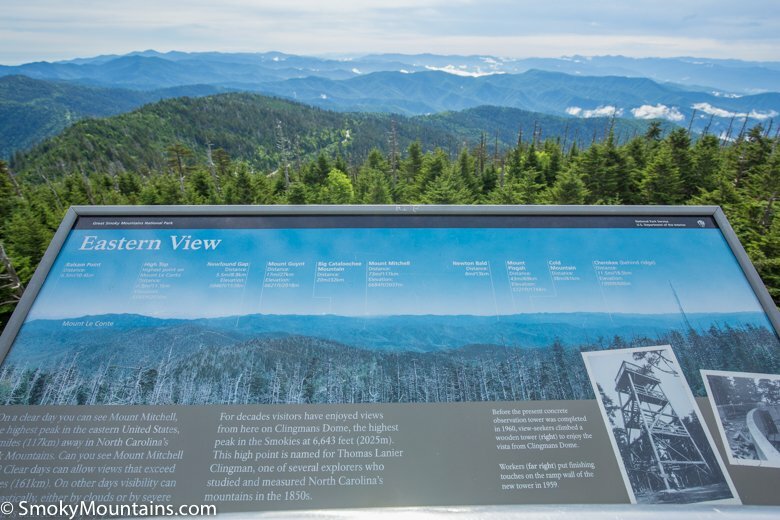 Even if you don't have the time to do the short 1/2 mile hike to the summit, the vistas from the parking area are superb! 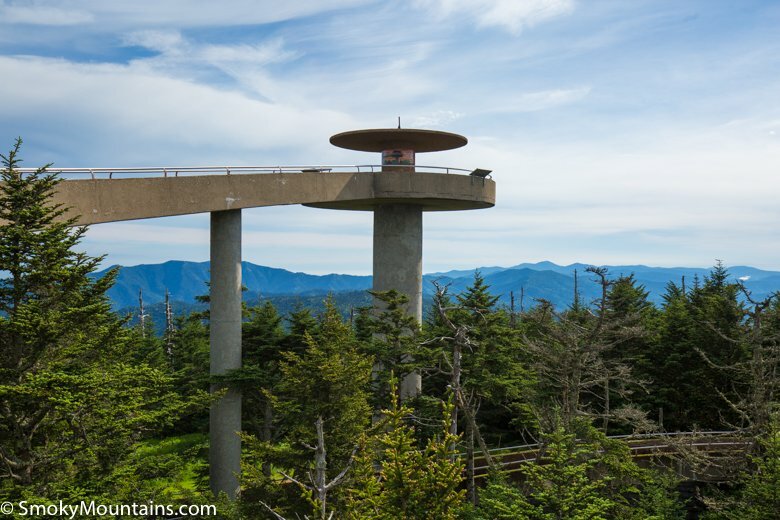 Credited as the highest point in Tennessee, Clingmans Dome sits at 6,643 feet above sea level. 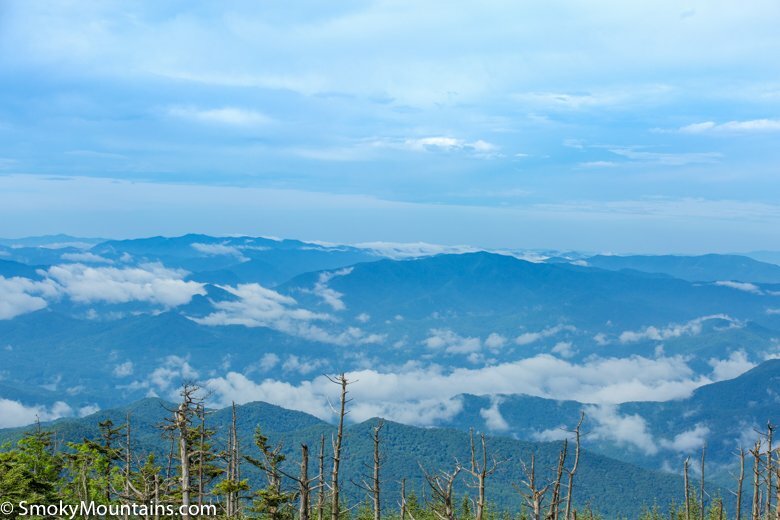 It’s the third tallest mountain east of the Mississippi River. 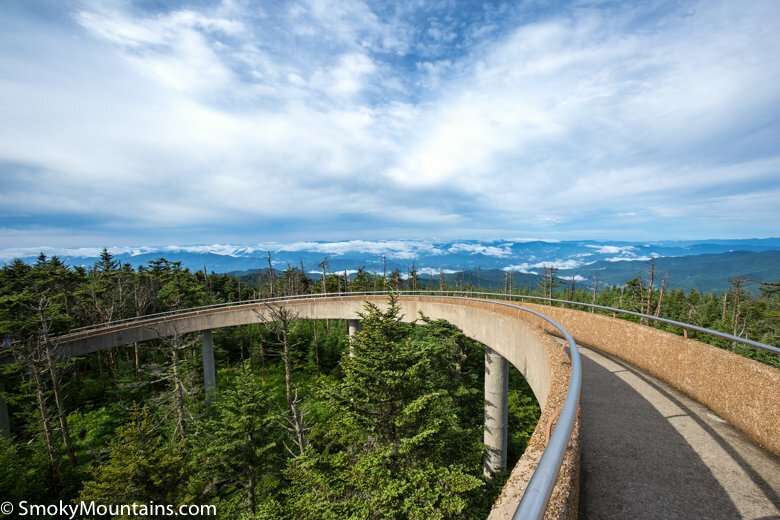 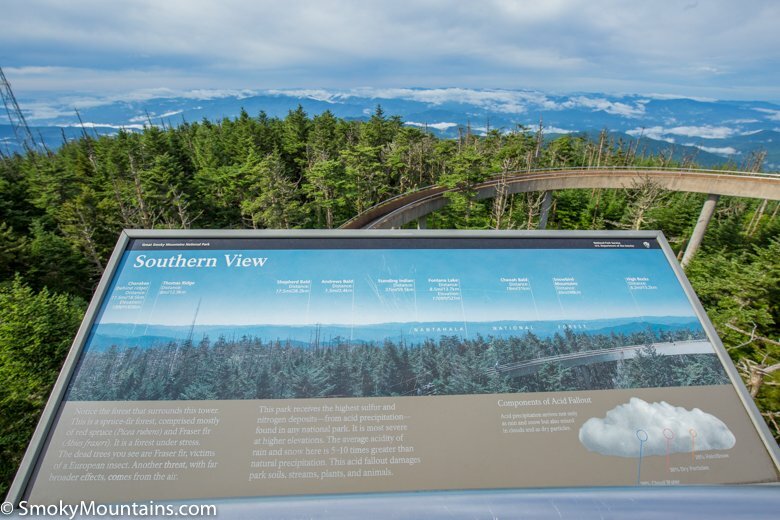 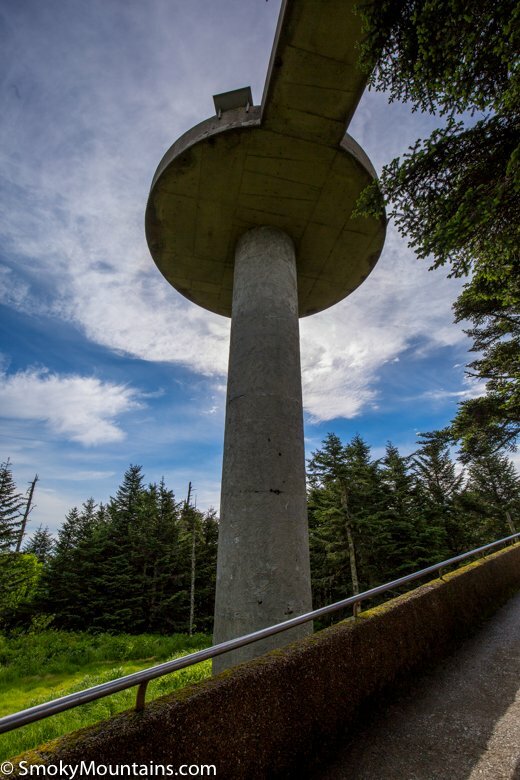 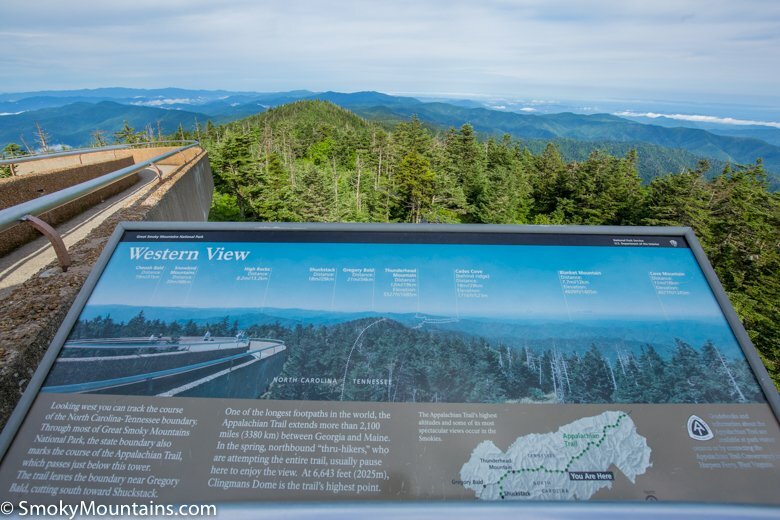 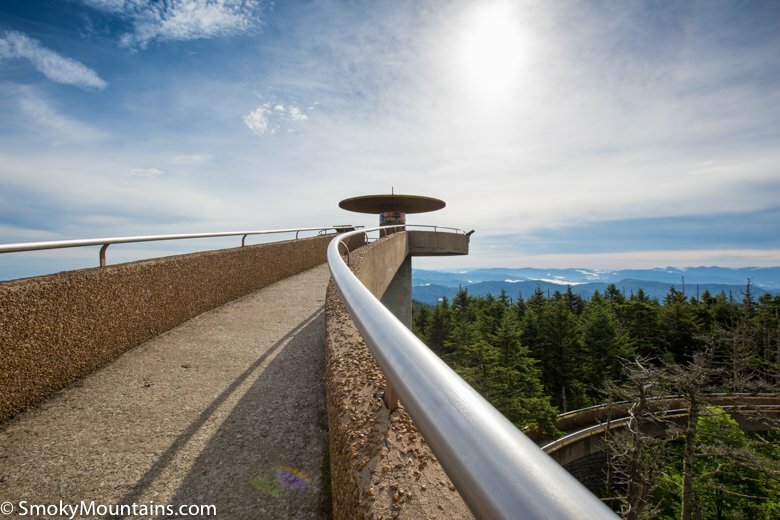 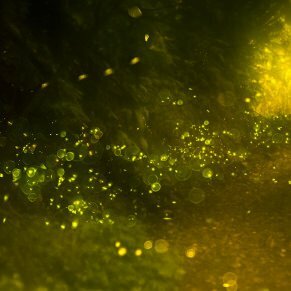 Visitors to the Great Smoky Mountains National Park can travel along the seven-mile stretch of Clingmans Dome Road to Visitors Center and trailhead that leads to the summit’s observation tower. 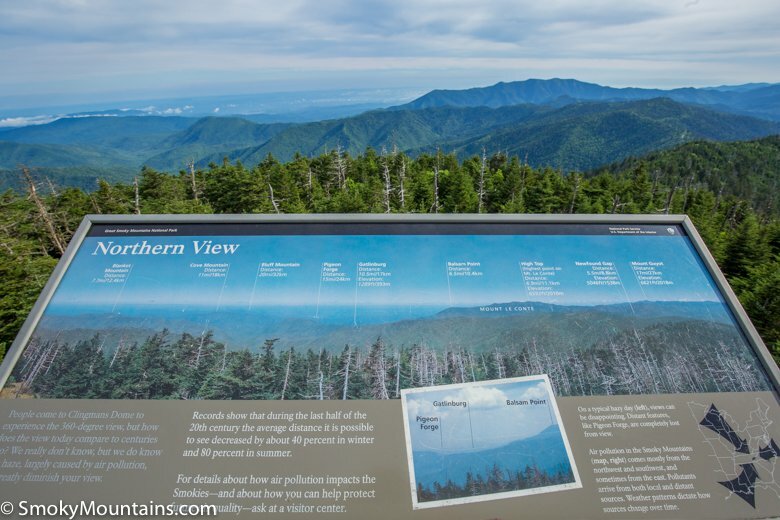 Along Clingmans Dome Road are several scenic areas with pullouts that allow for photo opportunities of the Smoky Mountain range. 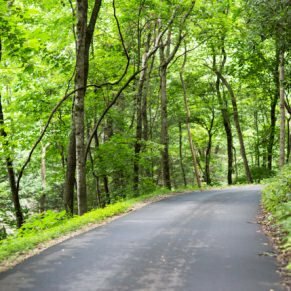 The seven miles of winding road offer views of nature ranging from mountain valleys to sculpted ridges and a variety of woodland. 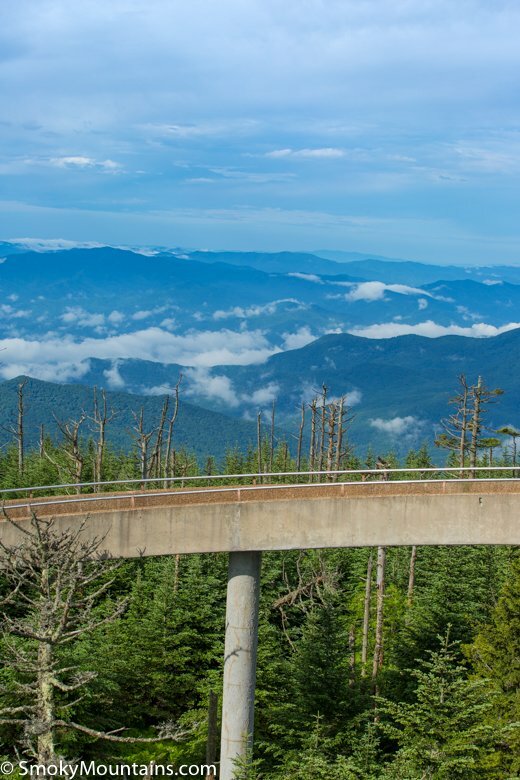 The road closes from December 1 through March 31 (and during inclement weather); although Clingmans Dome and the observation tower are open year-round. 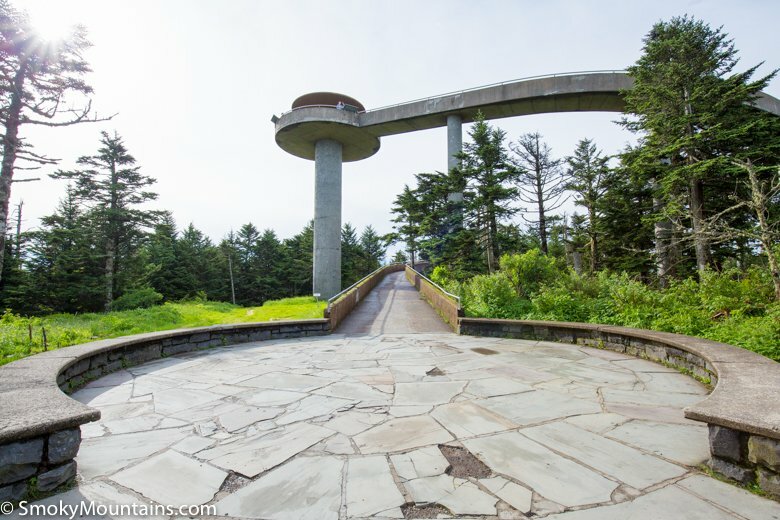 At the end of the twisting road are a large parking area and the Visitors Center. 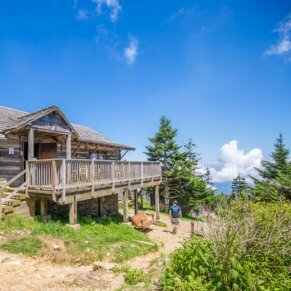 Restrooms are available. 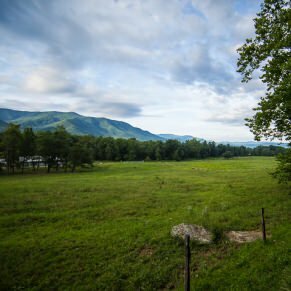 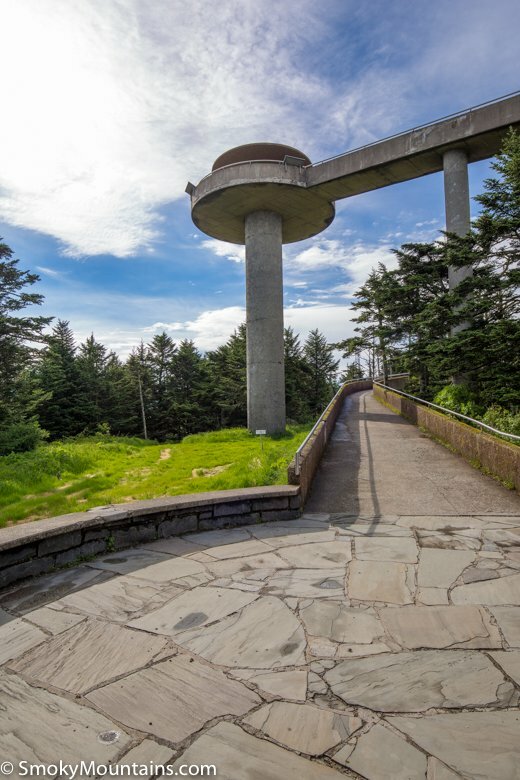 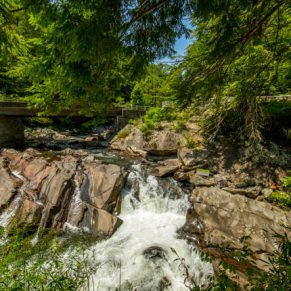 From this parking area, follow the half-mile trail to the Clingmans Dome summit and its observation tower for one of the best views in the park. 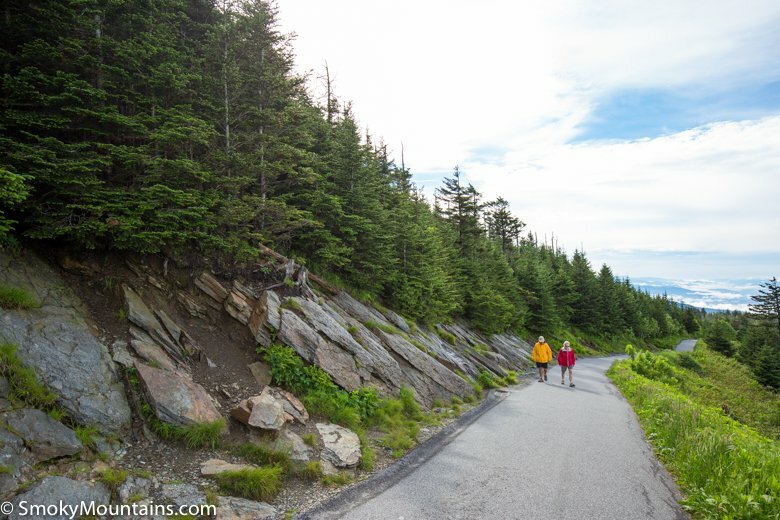 The paved trail is wheelchair and stroller accessible, but the very steep incline may be challenging for some—there are several benches along the trail for resting. 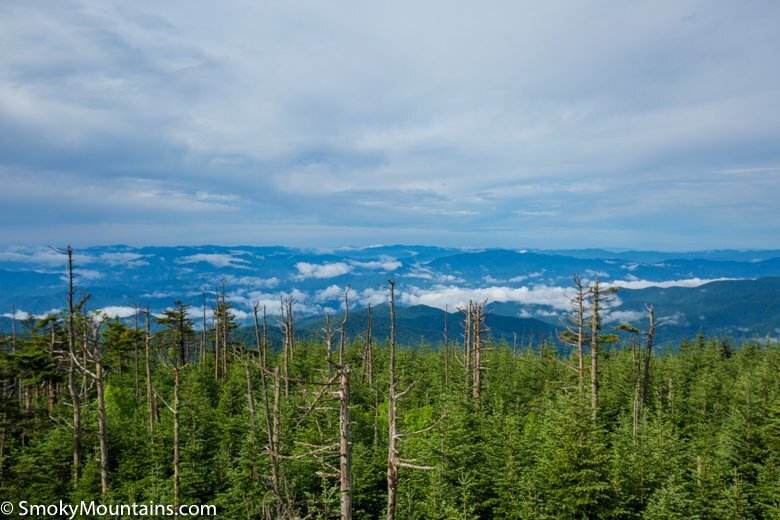 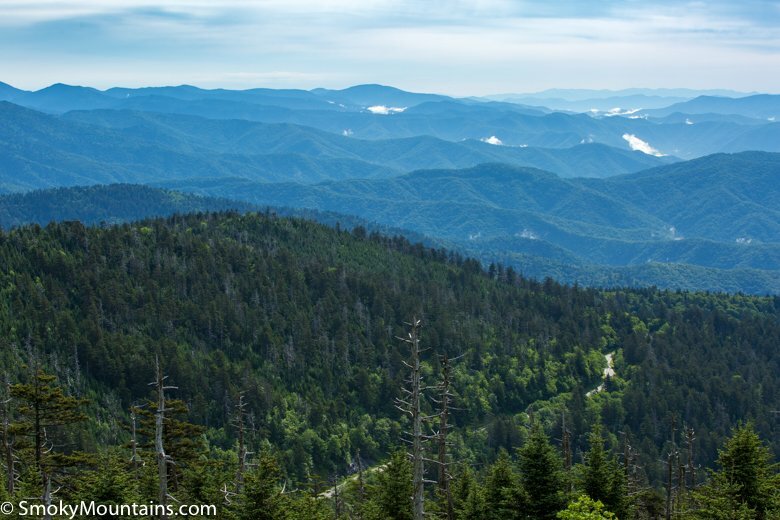 Several trailheads also start on Clingmans Dome Road, including the Forney Ridge Trail, the Noland Divide Trail and the Appalachian Trail (AT), which marks its highest point where the AT crosses Clingmans Dome. 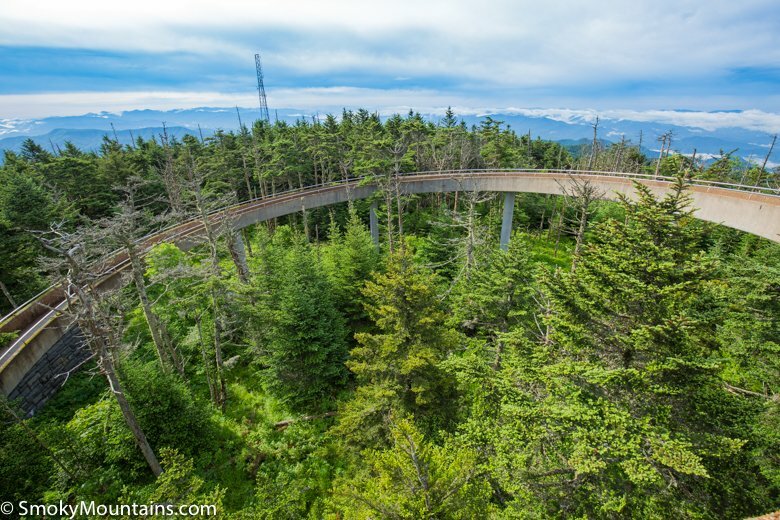 There is a short half-mile hike to the summit of Clingmans Dome. 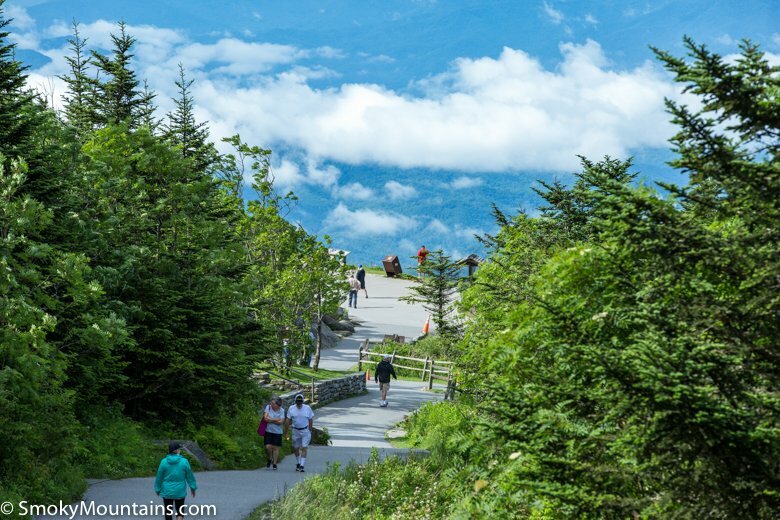 However, due to the steep gradient, the brief hike may not be suitable for the young children and the elderly. 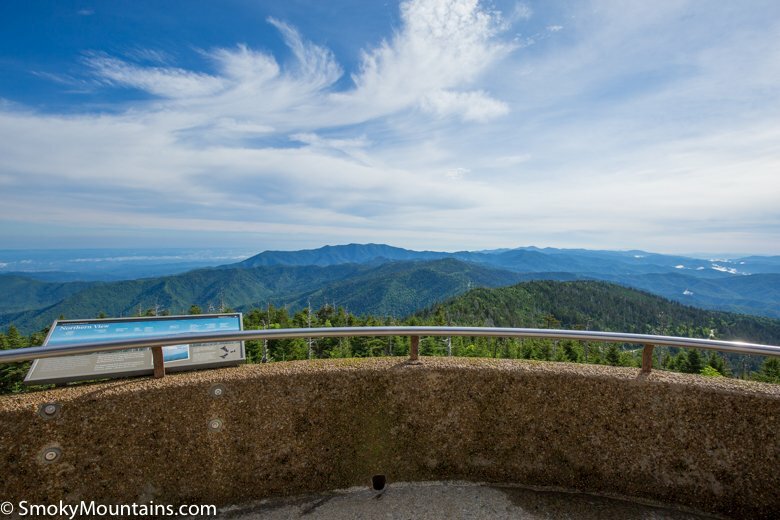 At the summit, there is a 360 degree observation platform that provides visitors with 100-mile views on clear days! 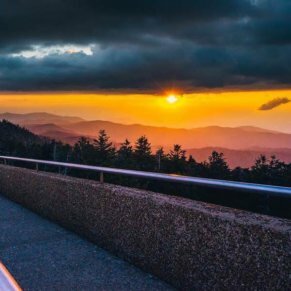 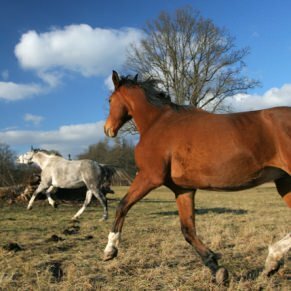 Go early—plan to arrive at the parking area about 8 a.m. in order to find good parking. 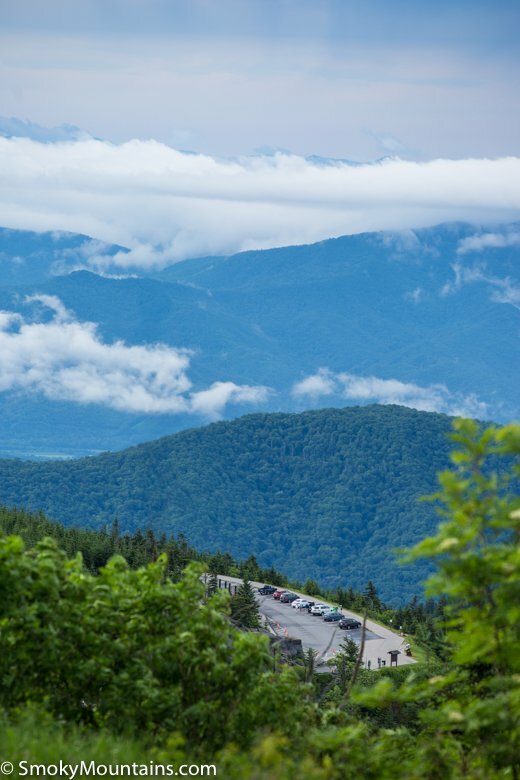 After 10 a.m., the parking lot gets busy and cars often park along the roadway. 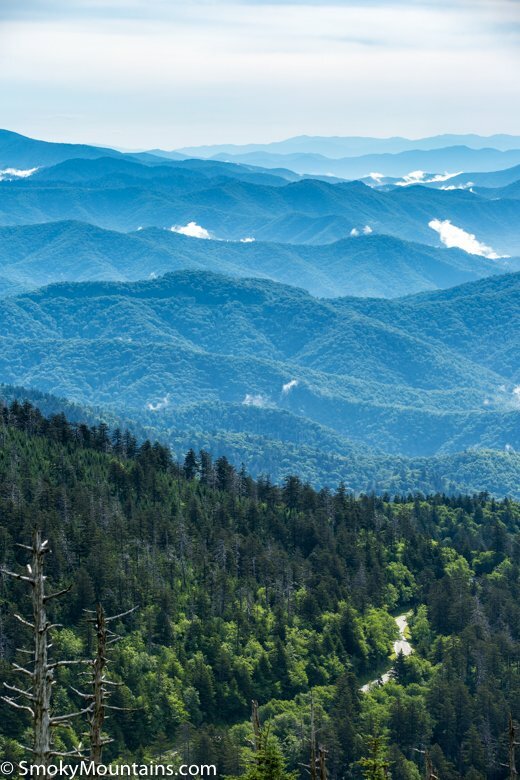 Don’t forget to bring a jacket. 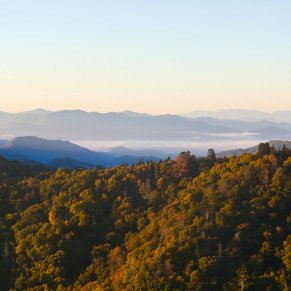 Temperatures at the highest point in Tennessee can be as much as 20 degrees cooler than the lowland areas.